During the last legislative session, the TN state legislature passed a draconian bill instating work requirements for recipients of benefits like Families First and the Supplemental Nutrition Assistance Program (SNAP). This is cruel legislation passed by cruel people with the intention of setting people up to fail in an effort to wipe them off of their benefits. Last year, MSPJC began providing flexible opportunities for young mothers who must now work up to 30 hours of community service a week in order to maintain their benefits and provide for their children. This is especially burdensome for those who rely on our broken transit system. For the past several months have been working with at least 20 women, completing close to300 hours every week, but this is just scratching the surface here in Memphis, where 62.3k or 24.8% of our total population receive food stamps (SNAP). This problem is only going to get worse now that TN has expanded work requirements for Tenncare recipients. According to a recent study by Georgetown University, once these changes go into effect, 68,000 TN residents could lose Tenncare entirely. Until Tennesseans can roll back this harmful legislation, MSPJC will continue to work to be an ally to those most affected. We invite you to be a part of this important work by making a donation of anything you can, or become a Sustaining Member of Mid-South Peace & Justice Center! Transitions can be exciting and a little sad as well, but in my opinion it is always a sign that we keep on rolling. After eight and a half years, it’s now my time to continue rolling on to different lands. I’ll be leaving my staff role as G.O.T. Power Training Director the last day of November 2018. I’m deeply thankful for all the opportunities of growth I have found during my time at the Mid-South Peace & Justice Center (MSPJC). I remember starting as an office coordinator for the Center when the former Executive Director, Jacob Flowers and Education Coordinator, Allison Glass trusted me enough for such an important position. I’m saying this because when I started the job, I didn’t have any prior experience in this specific field, also considering that I thought my English was very limited. During the first months in my position, I got more and more involved in the heart of MSPJC’s work, realizing that was something I’d wanted to be involved with since I was in college. A couple years later, I started working directly with Allison (then Training Director) in the training department, where my passion for theatre, art, and social justice mixed perfectly for me, becoming the Training Coordinator in 2015. MSPJC trusted once again in my abilities and my passion, investing greatly in building my facilitation skills and learning as a trainer for social justice. This experience allowed me to serve my community, focus on my personal growth, and get more in touch with my internalized oppression to be able to dismantled it. For this and much more, I will always be thankful with MSPJC. I’m also proud of how much our training department, G.O.T. Power, is growing, and continuing to serve our community, opening spaces for learning experiences, building our community’s capacity through building skills in grassroots organizing, and providing support for people doing community work and offering anti-oppression and liberation education. Bennet Foster, with who I have being working for several years now, first as MBRU Coordinator, and as a Training Coordinator for the last year, will be taking care of G.O.T. Power until a new Director takes my place. We are exited for the new accomplishments to come! Please consider making a donation to MSPJC so we may continue to provide affordable spaces for learning on social justice. This Summer: Know Your Rights! We’ve had a busy summer so far with the Juvenile Justice Project and Know Your Rights Theatre. We kicked things off June 4 at the Boys and Girls Club of Hickory Hill. Since then we’ve done workshops at Mitchell Community Center, McFarland Community Center, Cunningham Community Center, and Hickory Hill Community Center. We have already taught over 200 kids and teens about their rights during police stops and we’re just getting started! This summer we will be running over 100 Know Your Rights Theatre workshops! We will be at the Boys & Girls Club of Hickory Hill, Girls Inc, and almost every community center in the city. Each of these sites serves over 100 kids from elementary through middle school that will be learning how to more safely navigate experiences with law enforcement. We use improv theatre to help them act out realistic scenarios with police, tell them how to safely exercise their rights (which we tie back to the constitution and case law), as well as teaching them deescalation techniques. We believe that when we approach law enforcement from a place of knowledge, instead of what many of us learned on TV Cop dramas, that everyone is safer. Trolley Folly! We’re Coming Soon to Your Neighborhood! UCW Celebrates Juneteenth THIS Saturday! Greetings, transit warriors! This week, the Main Street Trolley will start running every 20 minutes, every day. MATA announced this via Nextdoor, and you can view their announcement here. As public transit in our city continues to be underfunded, we wonder why Memphis prioritizes trolley service over much-needed improvements for our buses and MATAPlus. Let’s shift the focus to the working class folks, people of color, and people with disabilities who rely on service outside of downtown for their livelihoods. Also, be on the lookout: MBRU will be coming to your neighborhood this year! We want to hear from more riders about what your transit needs are in your communities. 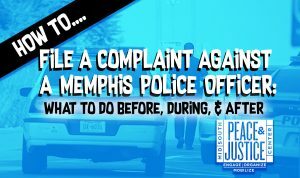 And remember, you can always contact us about concerns you have at (901) 205-9737 or MemphisBRU@gmail.com. Stay tuned for more updates on this! Finally, we wanna remind folks about a great upcoming event from one of our allies. United Campus Workers is hosting their 5th annual Juneteenth Celebration THIS Saturday, June 23rd! Come down to the IBEW Union Hall (1870 Madison) from 2-5 PM for food, fellowship, and special guest speaker Dr. Charles McKinney! Bus riders can get there on the #2 Madison. To RSVP on Facebook, click here. Member Spotlight: Mike Krause! Summer Survival Continues! When I think of service and dedication to H.O.P.E. as well as to the community of those experiencing homelessness, I think of Michael Krause. Not only does he volunteer his time with the H.O.P.E. group in any capacity we need him to, but he has also worked at Case Management, Inc, for at 20+ years, providing mental health services for those who are experiencing homelessness. Michael also volunteers with the First Presbyterian soup kitchen, the Memphis Health Center, as well as the Hospitality Hub. Michael Krause is known to our community as the go-to-guy for all information on homeless services as well as the free things to do in our city. He is a proud supporter & member of the Pink Palace Museum, and is known for inviting others to come join and see the exciting exhibits there. As if that wasn’t enough to keep him busy, Michael is also an active member of the Memphis Bus Riders Union and the Mid-South Peace & Justice Center, volunteering his time with both. Michael has fought tirelessly for the rights of bus riders, from the picket line to MATA board meetings, and to City Hall. Any given day you can find Mike, as he is affectionately called, wearing his HOPE or his Memphis Bus Riders Union t-shirts. Mike wholeheartedly believes in the mission and vision of HOPE and MBRU and is on of our most relied upon members. So kudos to Mike for winning the Mary Knox Lanier Award from the Community Alliance for the Homeless! If you would like to share in celebrating with Michael, his award will be presented to him at the Excellence Awards on Tuesday, June 26, 11:00 a.m. at Case Management , Inc.
-Tamara Hendrix, Organizing Coordinator, H.O.P.E. As we told you about in past newsletters, we are starting our Summer Survival campaign. The first dates of this program will be June 23, 30, and July 12. The rest will be be announced soon. Summer Survival is where we feed the most vulnerable and hungry school age children this summer. We would like to provide sandwiches, bottle water, and chips as well as hygiene kits if necessary. We also need volunteers to help pass out the food, which is a good opportunity for those who need community service hours. Youth volunteers are welcome, but must be accompanied by an adult if under 18. We need your help to make this summer great for those in need! For more information about how you can help donate or support HOPE or those who do the work to combat homelessness,or would like to put on a HOPE shirt and volunteer, contact Tamara Hendrix, (901)725.4990 or tamara@midsouthpeace.org. H.O.P.E. would like to thank Marcos Pizza for providing pizzas for the H.O.P.E meetings on the 1st Wednesday of the month. H.O.P.E is a supportive advocacy group for people with the experiences of homelessness. One of the ways in which we learn about the aforementioned needs and strategize how we can best support one another through this work is through our weekly Wednesday meetings in which we invite people experiencing homelessness to fellowship, share, and brainstorm. It is very important that H.O.P.E. continues to hear from the homeless community about the differing levels of oppression that many of us may face when attempting to navigate through the impending hardships of scarce services available in Memphis. For many groups and organizations offering free food at meetings is a plus for their attendees, but for H.O.P.E. it is a necessity, due to the fact that most often the meal offered at H.O.P.E. meetings may be the only meal they will have that day. As H.O.P.E. grows in numbers our expenses grow as well. How can you help? You can help by donating prepared foods on Wednesdays to our meeting that afternoon. Don’t have time to cook or buy prepared foods and bring them to our meeting space? We also accept monetary donations towards this cause. Neither of those options seem feasible for you presently? We are also looking for restaurants willing to donate food to our meetings. As always, all forms of donations are completely tax deductible. If you would like to discuss how you can offer support to HOPE please call Tamara @ 901-254-5964 or email tamara@midsouthpeace.org. Schedule a Unique Training for Your Group or Org! Grassroots Organizer Training for Power (GOT Power), Mid-South Peace and Justice Center’s training program, is committed to building our community’s capacity through building skills in grassroots organizing, providing support to people doing community work and offering oppression awareness and liberation education. Our method of education is Popular and Direct Education. Direct education means education that directly confronts and challenges the current system of injustice, which includes traditional education. Rather than traditional education, which gives all the expertise to textbooks and teachers, Direct Education invites the expertise of the people themselves. Direct Education is about liberation and empowerment — going to the direct source of wisdom: the community itself! Please contact us to get more information and schedule a training in your group or community. Fees are negotiable, scholarships are available and donations for scholarships are greatly appreciated. Trainings can be designed to meet the specific needs of groups, organizations, campaigns, coalitions, etc. Comprehensive weekend workshops on specific organizing skill sets, issue or community-specific formats are available. Trainings in Spanish are also available. All trainings are offered in English or Spanish as requested. We work and collaborate with bilingual trainers and facilitators. The Training Department of the Mid-South Peace & Justice Center (G.O.T. Power) would like to hear from the movement community. We want to know what you think about us and how we could better support your work or group! Please take a couple minutes to complete this short survey. This survey is for everyone, whether you have attended a workshop or not! Feel free to list your name or remain anonymous. Register Today! Marshal Skills Training June 21st! Join us THURSDAY & Be Prepared for the Next Protest! Demonstrations play a crucial role in our movements. Rallies and marches display the power and discipline of a campaign which can increase the pressure for change. Organizers often call on volunteer marshals to help manage large groups of people, avoid internal disruption, and prevent police violence. In this workshop participants with develop their skills for non-violent intervention and de-escalation. Join us as we prepare for the next action! Time: 6p.m. – 8:30p.m. Please, be on time. *Limited to the first 14 people who register. Registration online or by phone is required to attend. MSPJC Talks MPD’s “Hazard List” On WLOK This Sunday! Listen in THIS SUNDAY, 6PM to WLOK 1340AM. MSPJC Organizing Director, Paul Garner and MSPJC member, Reginald Johnson will be live with Cleveland Bradfield, discussing concerns that the Memphis Police Department has been labeling citizens as “hazards” without due process. Juvenile Justice Project: Become A Partner! Mid-South Peace & Justice Center’s Juvenile Justice Project is working with Juvenile Court to build networks of churches and organizations to address our high number of youth offenders and the lack of opportunities for court ordered community service, specifically in the areas of Hickory Hill & Bartlett.